"A ban on meatpacker ownership of livestock, part of a group of new competition provisions in the Senate-passed version of the Farm Bill, was removed from the conference report of the bill in late-night meeting this week," reports Dien Judge of The Iowa Independent. "The provision would have stopped the practice of meatpackers from raising their own herds of livestock, a practice which has caused difficulties for small, independent livestock producers." It also "would have reduced the power of large meatpacking companies to manipulate livestock markets," Judge writes. For a rundown on other aspects of the bill, from Peter Shinn of Brownfield Network, click here. The battle between the Kansas legislature and Democratic Gov. Kathleen Sebelius, left, over greenhouse gases and two coal-fired power plants that a rural electric cooperative wants to build may be moving to the courts. The battle began last year, when Sebelius' health and environment secretary denied permits for two power plants sought by Sunflower Electric Corp. on grounds they would produce too much carbon dioxide, the main gas responsible for climate change. Utilities and their legislative allies pushed through bills negating the decision, saying state law does not call for regulation of carbon dioxide, but Sebelius vetoed the bills. The Senate voted to override the veto of its measure, but the House fell four votes short. House leaders then introduced a resolution that would allow the legislature to sue the governor over the issue. We're live-blogging today from the first Rural Health Journalism Workshop, being held by the Association of Health Care Journalists at the University of Missouri in Columbia, Mo. We're just hitting the high points, but the sessions are being recorded and will eventually be posted on the association's Web site. The workshop began yesterday with an overview of rural America and its health-care system, moderated by your blogger. The panelists were Charles Fluharty, director of policy and director emeritus of the Rural Policy Research Institute; Dennis Berens, director of rural health for the state of Nebraska and former weekly newspaper publisher; and Patricia Thomas, who holds the Knight chair in health and medical journalism at the University of Georgia. One unexpected focus of the discussion was trauma care. It's always been an issue in rural areas, but is being complicated by the declining state of volunteer ambulance services in many rural communities, Berens said. Today's first session was on diabetes, which almost one in 10 Americans have. Many rural areas have high rates of the disorder, which can lead to many other medical complications and disease; most diabetics live 10 to 14 fewer years than non-diabetics, said Dr. David Gardner of the University of Missouri. Dave Templeton of the Pittsburgh Post-Gazette was not only the moderator but an example. He said he is a Type 1 diabetic who was diagnosed at 11 and has lived all his life in a rural county, but "Not once was I ever asked to take a diabetes education course. . . . Diabetes requires self-management." The other panelists were Dr. Edwin Fisher of the University of North Carolina, who talked about diabetes self-management in rural communities, including Richland County. 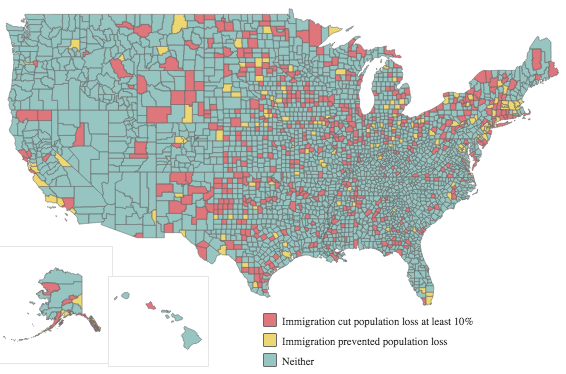 Mont., on the North Dakota border, and among migrant farmworkers in southwestern Arizona; and Patty Johnson, a nurse and diabetes educator in three rural counties in the southwest corner of Pennsylvania that have high rates of amputation resulting from diabetes. Fisher said the best diabetes care is community-based, with support groups and activities to encourage self-management. We think rural journalists should think of themselves as part of the community effort, because many people with diabetes resist doing much about it. Gardner cited what he called "the law of halves:" Half the people with diabetes accept intervention, half of those who accept intervention follow the advice, and it works for only half of those, equaling only one-eighth of the diabetic population. For Fisher's help in covering diabetes, you can e-mail him here. We think one of the most important roles journalists can play in combating diabetes is helping people avoid Type 2 diabetes, the most common form, in which the body becomes insensitive to the insulin in produces to process sugar in the blood. The major steps are losing weight and being more physically active. One way to approach this would be to find someone who has been diagnosed as pre-diabetic (high blood sugar but not high enough to be diabetic), has friends or relatives with diabetes, and has successfully avoided the disease by taking appropriate measures. Gardner emphasized the role of genetics in the development of diabetes, and noted that it is a disorder, not a disease, and is not just related to blood sugar; other factors that need treatment include blood pressure, cholesterol and other compounds that harm the body. "it's important that we recognize this as a genetic disease made worse by our environment -- too much food, not enough exercise," he said, adding that it's also the wrong kind of food; Gardner said the closing of supermarkets in rural areas has made proper food harder to find and reduced the quality of diets. He said too many stories over-emphasize the role of obesity in diabetes: "Don't blame the patients in your stories, and at the very least, show the patients hope." The Democratic presidential race may turn Tuesday on two states with many rural voters, Indiana and North Carolina. The rural vote has been a key to Hillary Clinton's survival. Here are a few excerpts of the coverage, to be updated as the weekend goes along. "It is my belief that rural America represents what's best about America -- hard work, responsibility, individual initiative, a sense of community, a sense of family," Obama said during the town-hall style event. "And the fact that rural America is having such a difficult time indicates that we've lost focus on our values." While Obama was reaching out to Clinton's base, Bill Clinton tried to appeal to Obama's strength: young voters. The former president spoke at West Virginia University in Morgantown, emphasizing what his wife would do for them, reports The Associated Press. "In a speech that was heavier on substance than style, Clinton laid out dozens of reasons young people should help elect his wife, from promises of universal health care and a meaningful job-creation plan to her ideas for cutting gasoline prices and fighting global warming," the AP reports. (Read more) For an aidio report from West Virginia Public Broadcasting, click here. In Junction City, Ore., he took issue with a pundit: "I just read an article in The Associated Press that quotes a Reed College political science professor who says that my coming to see you won't work. Now listen, he said that Hillary's decision to reach out to rural Oregon was -- quote -- 'old politics'." Rural anti-elitism is a frequent theme for Bill Clinton. Susan Milligan of The Boston Globe writes, "The former president scoffed at an unnamed 'snooty' columnist who had poked fun at his wooing of ordinary working folk." To hoots from the crowd in Dunn, N.C., he said, "They think we're dumber than we are. I grew up in a place like this. I know people here are as smart as anywhere else. They haven't figured that out yet," meaning "the political and media establishment," Milligan writes. "Rural towns like Dunn are Hillary Clinton's best hope to wrest the Democratic nomination from Barack Obama." Milligan reports that in relatively poor Lumberton, N.C., Clinton "recalled the Southern wisteria and dogwood he so loved seeing during his childhood springtimes in Arkansas. He bemoaned the loss of jobs in the country and voiced the crowd's collective frustration over high gas prices that he said make it too expensive for employees to drive to work - a comment that wins enthusiastic applause from rural voters." (Read more) Hillary Clinton and John McCain support suspending the federal gasoline tax over the summer, which Obama opposes as a gimmick; FactCheck.org, an independent outfit that tests candidates' campaign ads and promises, agrees with him. Eli Saslow of The Washington Post, following Bill Clinton, notes that "He seeks laudatory local news coverage but avoids attention from the national press." North Carolina state Sen. Julia Boseman told "He has a way of instantly making the kind of connection that wins over people in towns like these. People here can't believe they're seeing or touching him. They love him just for coming." (Read more) But Tracy Russo of The Field blog writes that Clinton "represents the past at a time when people are desperately longing to move forward towards a brighter future. The Globe did a good job of capturing that dichotomy and the whole article is worth a read." Russo also notes that there are 120 superdelegates "who come from rural America that have yet to declare their support. Will Clinton do as well with them as she has done with rural voters in general?" Chuck Todd, Mark Murray, and Domenico Montanaro of the NBC News political unit write on their First Read blog, citing the Globe story, "This Bill Clinton strategy of going to every small little town they can set up in has been quietly paying dividends for the Clinton campaign." The campaign appears to think so; the former president is scheduled to be in Marion, Morganton, Lenoir, Newton, Kenersville and Reidsville, N.C., on Sunday, and in Elizabeth City, New Bern, Jacksonville, Smithfield, Louisburg, Zebulon, Henderson, Roxboro, and Raleigh on Monday. We're tired of running this story again and again, so we'll keep it short. Here's a report from Peter Shinn of Brownfield Network. UPDATE: Maybe the end is in sight. Shinn reports that a late-night, six-hour meeting has the Farm Bill "all but wrapped up." Here's the story. Confined animal feeding operations often pose "unacceptable risks to public health, the environment and the welfare of the animals themselves," and major overhauls are needed in the way the operations are run, the Pew Commission on Industrial Farm Animal Production said this week, concluding a study that lasted two and a half years. Rick Weiss of The Washington Post summed it up this way: "Factory farming takes a big, hidden toll on human health and the environment, is undermining rural America's economic stability and fails to provide the humane treatment of livestock increasingly demanded by American consumers." Ann Bagel Storck of MeatingPlace.com, which covers the red-meat industry, writes that the study "raises issues such as the huge amount of animal waste industrial farms generate, use of antibiotics by such facilities leading to the development of drug-resistant bacteria and the high concentration of animals on industrial farms increasing the risk of disease spreading. The report's recommendations include phasing out the most inhumane production practices within 10 years; implementing federal performance-based standards to improve animal welfare; and expanding and reforming animal agriculture research." For the full report, click here. For the commission's press release, click here. For a rebuttal from the Animal Agriculture Alliance, click here. The boom in biofuels, largely ethanol made from corn, "has linked food and fuel prices just as oil is rising to new records, pulling up the price of anything that can be poured into a gasoline tank," Steven Mufson of The Washington Post in yesterday's installment of the paper's series on the global food crisis. "The price of grain is now directly tied to the price of oil," Lester Brown, president of Earth Policy Institute, a Washington research group, told the Post. "We used to have a grain economy and a fuel economy. But now they're beginning to fuse." Even as policymakers begin to voice reservations about recent measure to spur more biofuel production, Mufson reports, "Two leading oil pipeline companies are exploring the feasibility of building a $3 billion ethanol pipeline, the first of its kind, to link Iowa and other parts of the Midwest with motor-fuel markets in the East. It would carry 3.65 billion gallons a year and give another industry a vested interest in maintaining high ethanol output." American farmers' rush to corn last year "edged out some soybeans, which as a result are being grown in greater numbers on previously unplowed areas in other countries," Mufson writes. "And that releases carbon dioxide that had previously been stored in the soil as organic matter," adding to the atmosphere the main greenhouse gas responsible for climate change. Mufson's story, which focuses on Iowa and has some interesting details about eggs and castrated roosters, is an evenhanded glimpse of a few slices of perhaps the greatest problem facing the world today. But it and the Post series prompted objections from farm and biofuel interests, reflected in this story by Peter Shinn of Brownfield Network. For the second time in little more than a year, the Atlanta Journal-Constitution is reducing its circulation area, meaning the newspaper will be a shadow of its former self in rural Georgia. "Counties affected in the latest round are mainly in the northwest corner of the state, along the South Carolina border and northeast of the Columbus area," the paper said in a story with no byline. "After the cuts, the AJC will be distributed in 46 Georgia counties and three in North Carolina." Georgia has 159 counties, most of them small and rural. UPDATE, July 7: The Times-Picayune of New Orleans has eliminated most of its circulation in Mississippi, about 3,000 subscriptions and single-copy sales, mainly the latter, Joe Strupp reports for Editor & Publisher. The exceptions are 700 or so papers still being distributed in Picayune, in the Mississippi Panhandle less than 50 miles from New Orleans. Circulation Director Phil Ehrhardt said much of the paper's Mississippi circulation was wiped out by Hurricane Katrina in 2005 and had not returned. Such considerations "represent a dramatic backlash against corn ethanol," Paulson writes, noting how the last few months have quickly changed corn ethanol's reputation. She adds: "Many experts worry that Washington's new skepticism will undo important progress the U.S. has made in replacing foreign oil with domestic energy alternatives. But others say that done right, a shift toward cellulose – nonfood plant material like grasses and crop residues – could reduce U.S. reliance on imported oil just as well as corn does. And it would accomplish it with fewer food and environmental trade-offs." An earlier version of the bill had used compliance with the Society of Professional Journalists' Code of Ethics to determine who qualifies as a journalist, but the final legislation granted protection to those who disseminate news in the "substantial public interest," as well as those who have ever worked in the news media. For a comprehensive overview of shield laws, go here. After talk about easing the ban on loaded guns in national parks and wildlife refuges, the Bush administration formally proposed Wednesday to scrap the long-standing ban. Rob Hotakainen of McClatchy Newspapers reports, "Under the plan, an individual could carry a concealed weapon in national parks and wildlife refuges if he or she is authorized to do so on similar state lands in the state where the national park or refuge is located." Since existing regulations took effect in 1981, 48 states have passed laws to allow legal possession of concealed weapons, the Interior Department noted. Interior Secretary Dirk Kempthorne said, "The safety and protection of park and refuge visitors remains a top priority for the Department of the Interior. The proposed regulations will incorporate current state laws authorizing the possession of concealed firearms, while continuing to maintain important provisions to ensure visitor safety and resource protection." The announcement wasn't unexpected. Under pressure from Congress, the department said in February that it would review the ban and make a recommendation by the end of April. As a result, many proponents of the ban feared that the administration was getting ready to lift it. Several National Park Service employee advocacy groups and the National Parks Conservation Association said the proposed change would lead to confusion for visitors, rangers and other law enforcement agencies. In a recent article on size of school districts, The Economist magazine reported what it called a sad irony: "The better a small town educates its pupils, the more likely they are to seek jobs elsewhere. According to a study by Pennsylvania State University, returns to investment in human capital are much lower in rural areas than in urban ones." The Economist did not cite the name or author of the study, but thanks to help from our friends at Penn State, we tracked it down. It's called "The Returns to Education in Rural Areas," and it addresses the rural "brain drain" alluded to by the magazine. The lead author is Stephan Goetz, of Penn State's Northeast Regional Center for Rural Development. In a policy brief for the Southern Rural Development Center, the authors explain that the brain drain "not only deprives local employers of an educated workforce, but it also represents a drain on local resources because the communities that invested in the education of these workers do not reap any returns on that investment." The study crunched numbers to place an actual number on returns for education in rural and urban areas. The study found that a 1 percent increase in the share of high school graduates in a typical rural county raises per capita income by $128, while a 1 percent increase in urban areas result in a $413 increase. The graph below shows the figures vary widely by region. The regional variances are important because key factors such as population density, social capital, classroom size and highway access ramps "have no statistical effect in leveraging the impact of educational attainment," the study says. It concludes that there are "staggering odds or disadvantages that rural areas face in terms of providing those with a high school degree a reasonable return on their investment." The Economist examines the long-term trend toward consolidation of schools and school districts, a major issue in rural areas. Its article highlights South Dakota, where the total enrollment of students has fallen 9.4 percent over the past 10 years (Economist chart). That drop led legislators to force any school district with fewer than 100 students to merge with another. "Legislators, particularly urban ones, reckon that merging districts will create economies of scale and allow schools to offer a broader curriculum," The Economist reports. "But in many cases, a merger will lead a good school to close, forcing its pupils to take long bus journeys to the next town." The conference report on the Farm Bill will not include a Senate-added provision that would have prohibited release of information from the National Animal Identification System, which is voluntary for now but is being implemented by many states. The measure would also have blocked access to animal owners' contact information in the National Premises Information Repository, said OpenTheGovernment.org, a lobbying group that includes journalism organizations. Patrice McDermott, the group's director, credited Sen. Patrick Leahy, D-Vt., left, for removal of the Senate provision. Leahy has been a leader in recent efforts to preserve and expand federal freedom of information. The Senate bill also would have prohibited any non-authorized use of the information. "Members of the public and the press could face criminal or civil penalties for publishing information from the NAIS," the lobbying group warned in a letter to senators, adding that such a measure would have gone "way beyond most existing law in imposing disproportionately harsh penalties for press activities protected by the First Amendment." To read the whole letter, click here. The federal Farm Service Agency has given, under court order, a detailed database of agricultural practices on individual farms to "a publisher of dairy magazines and seller of custom lists to ag marketers," reports Brownfield Network. The appellate court decision, implemented by delivery of the records this week, has potentially major implications for farmers who worry about their privacy and journalists who cover agriculture. Multi Ag Media LLC requested the data under the Freedom of Information Act. FSA denied the request in 2005, saying its release would "constitute a clearly unwarranted invasion of personal privacy," one of the exemptions in the law. A federal district judge in Washington agreed, but the appeals court for the District of Columbia ruled otherwise in a 2-1 decision in February. The court said FSA did not have to release "personally identifying information protected by the Privacy Act of 1974, things like Social Security numbers and names," Peter Shinn reports for Brownfield. "But USDA Under Secretary for Farm and Foreign Ag Services Mark Keenum told Brownfield [that] which ag producer belongs to which file in the database won’t be hard to figure out," through farm identification numbers. FSA pointedly said in a press release that the records contain "data for all operations owned and operated by individual agricultural producers and closely held family-owned business entities. These files can be used to reveal details of farming operations at a specific geographical location." "With the agricultural economy strong and farmland enjoying record-high values . . . Congress is missing an opportunity to dramatically re-shape U.S. farm policy." That's how Peter Shinn of Brownfield Network described President Bush's view, at a press conference today, of the Farm Bill being finalized by House and Senate negotiators. Speaking with reporters in the White House rose garden, Bush said, ""Americans are concerned about rising food prices. Unfortunately, Congress is considering a massive, bloated farm bill that would do little to solve the problem." Morgan reports other reasons fewer farmers are raising wheat: As we reported here, it is relatively more susceptible to diseases, seed companies have focused on more profitable crops, climate change and crop research have made corn and soybeans easier to grow in the Wheat Belt, and for the last decade the Farm Bill has allowed farmers "to switch to other crops and still collect government subsidies." As congressional negotiators tried to wrap up the Farm Bill with an agreement on limiting commodity subsidies to farmers with large non-farm incomes, a White House spokesman renewed President Bush's signal that he would veto the compromise version of the bill agreed on so far. Spokesman Scott Stanzel told Ryan Grim of The Politico, “I understand members will be meeting about this tomorrow, so things still may be a bit fluid. But, as it stands now, it is not something the president would support.” He said the bill “lacks important reforms the president has repeatedly called for. With farm incomes at an all time high, Congress shouldn’t be asking taxpayers to pay for even more government subsidies for farmers. The proposal before Congress would dramatically increase spending, in part by masking additional spending in budgetary gimmicks and accounting tricks.” (Read more) For a report from Charles Abbott of Reuters on the subsidy-limiting negotiations, click here. Brownfield losing his radio show over differences with owner about his treatment of Monsanto Co.
Derry Brownfield, right, who founded a radio network for Midwest agricultural and rural news, is being taken off that and sister networks because he rails against major agribusiness interests, including Monsanto Co., on his "Common Sense Coalition" program that airs on about 60 stations. Clyde Lear, who co-founded Brownfield Network and now heads the parent Learfield Communications, confirmed his reasons in an interview tonight with the Institute for Rural Journalism and Community Issues. Lear said he decided during the conversation with Brownfield to stop carrying his former partner's program, but is trying to help him find another outlet. "I wish I had given this one a little more time," he said. "As a journalist, there's a part of me that wishes I had gone the other way." But Lear is also a businessman and majority owner of his company (he bought out Brownfield in 1985), and he said three of his sales people have Monsanto as a client. Asked if they thought Monsanto would reduce its advertising because of Brownfield, Lear said, "I think there was that fear." While Lear couldn't cite any examples, Michael Stumo of the Organization for Competitive Markets wrote on the OCM Blog that he and OCM President Fred Stokes were guests on one of the two recent Brownfield programs that were critical of Monsanto. "We discussed the tactics of Monsanto in the marketplace, their abuse of producers, their litigiousness, their quashing of competition, and the recent Vanity Fair article, "Monsanto's Harvest of Fear," Stumo wrote. Lear announced the termination on his own Grow Learfield blog, initially in gentle terms. "He's good. And, he's a dear friend," Lear wrote. "He didn't mind controversy or taking on giants like the Monsanto Corp. He thought they were bad for farmers, too big for their britches and generally bad for America. Increasingly he's been saying so, without seeking balance, in my opinion." Replying to commenters who complained about his decision, he said, "We've parted ways because accusations being made about not only advertisers, but individuals, corporations, government, (fill in the blank) were based on fear and lies with absolutely no truth to back them up." Greg Hall notes the demise of the last U.S. slaughterhouses that processed horsemeat for human consumption, mainly in Europe and Japan, a doubling of the number of horses shipped to Mexico for slaughter, and drought that has raised feed costs. "Discoveries of malnourished horses have renewed questions that perhaps it's necessary to make slaughter available for horse owners," he writes. "They could collect maybe a couple hundred dollars by selling an old horse for slaughter rather than continue to pay thousands a year for care and feeding -- a situation with which some horse advocates sympathize. . . . About the only agreement among slaughter proponents and opponents is that the increased costs of fuel and food are issues for horse owners."